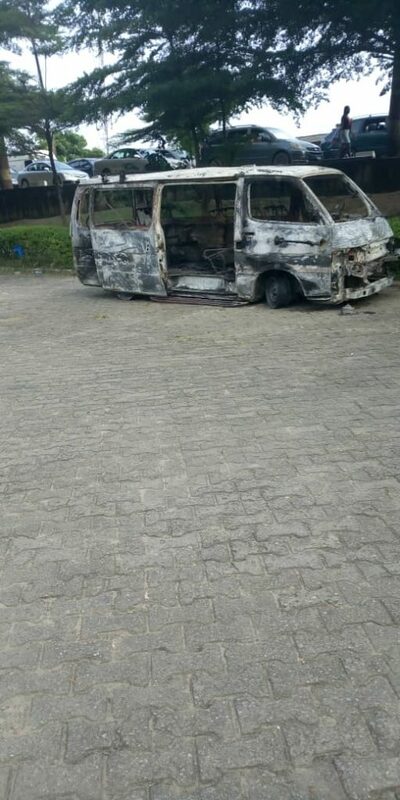 A bus reportedly belonging to the Nigeria Television Authority (NTA) was engulfed in fire on Wednesday evening in the Wema Bank-Faculty of Environmental Sciences axis of the University of Lagos. 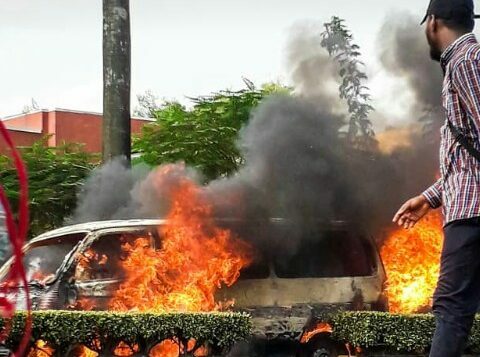 The bus exploded more than once at about 4pm in the evening, an eye-witness told The Press Club, although no official information is available as at the time of filing this report. A ‘girl’, who was said to have only fainted, sustaining no injuries, was rescued from the bus and later revived by passers-by. 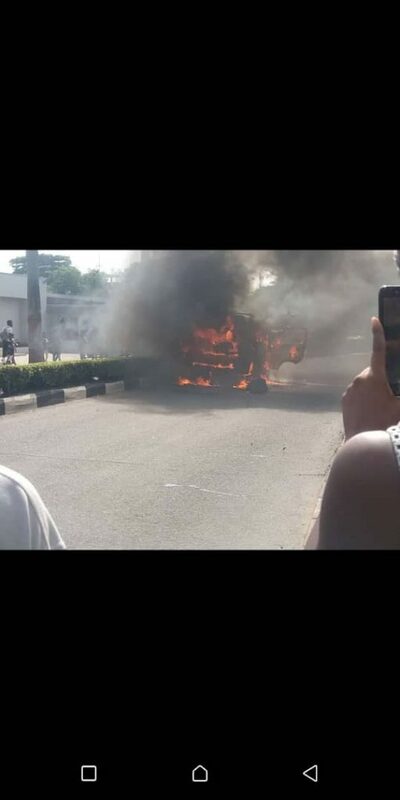 Witnesses say the bus must have belonged to the NTA Edutainment crew. 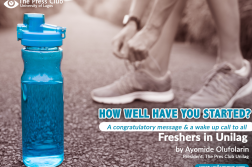 The bus explosion is coming only a few weeks after two separate fire incidents were reported at the Faculty of Science of the Akoka campus. 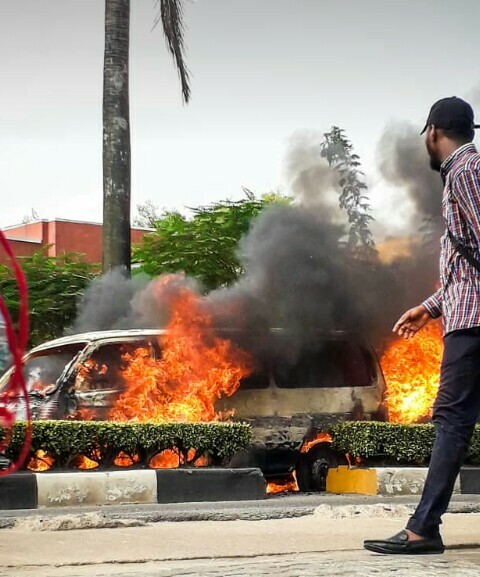 A Faculty of Environmental Science Foundation Programme (Diploma) student who witnessed the explosion described the confusion that ensued. She said, “We went to buy food, me and my friends, at the back of our faculty (Faculty of Environmental Sciences). So as we were coming back, we saw the bus explode. “There was smoke everywhere. I inhaled a lot of smokes. We started running. My friend dragged me along because I could not see. Everywhere was foggy. “So, we went back to the canteen only for us to come back outside. We saw three persons coming our way. The two of them were carrying a girl and she wasn’t responding, so they poured water on her. “The bottled water I was holding, they poured it on her. She wasn’t still responding. We started praying and everything. Then she started coughing and breathing heavily. “We carried her back into the canteen. We turned on the fan for her. We poured a certain amount of cold water on her head to revive her. “Then they called the ambulance, the fire department to come and help the bus. The bus was an NTA-bus. 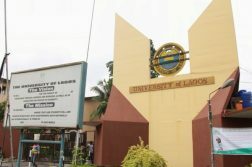 I don’t know what they came to do in UNILAG. But there was just one victim and she wasn’t injured. “My friends and I left there and started going back to our faculty when the bus exploded for the second time. “There is a gate they usually lock. So they opened it and I ran out if it to the Sports Center. As at the time of visit yesterday evening, the damaged bus was abandoned at a corner around the garden adjacent to the Faculty of Environmental Sciences. 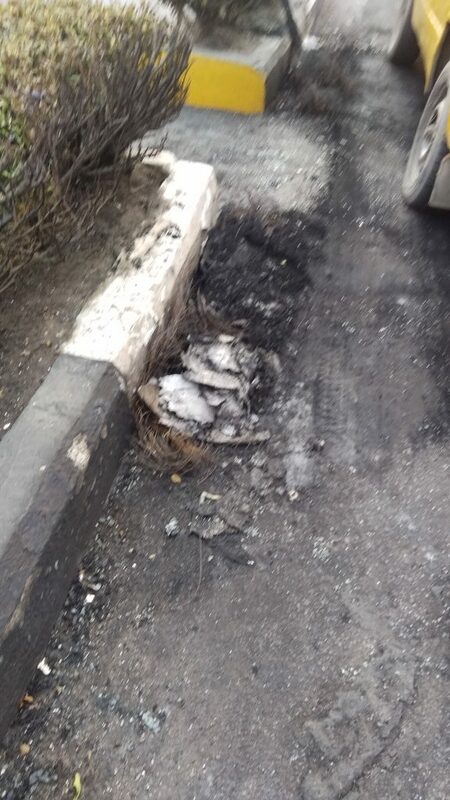 Tyre debris and black dusts from burnt bus were seen on the road. Witnesses say fire emergency service from the university helped to quench the fire.